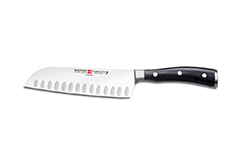 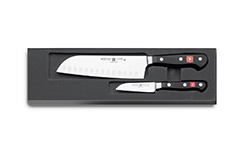 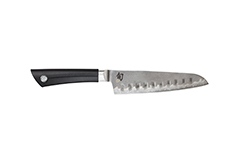 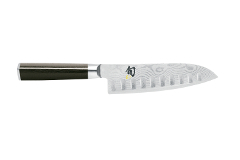 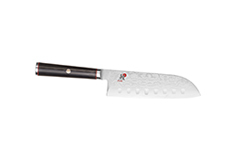 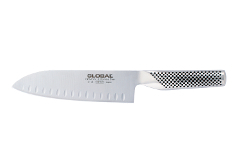 Also known as Asian chef's knives, these popular Japanese style santoku knives are handy in the kitchen. 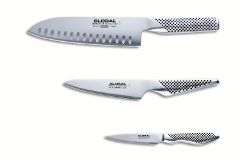 These all-purpose knives can chop, slice, mince and dice. 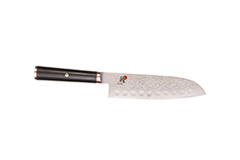 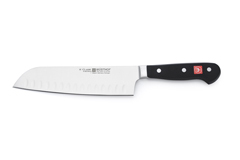 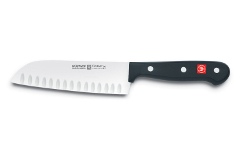 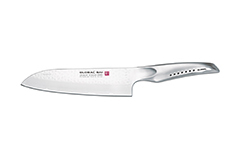 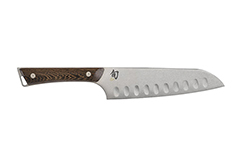 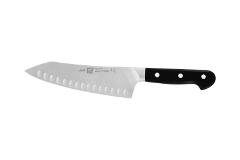 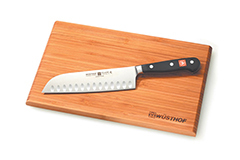 Unlike a western chef's knife, a santoku knife performs best with a up-down motion versus rocking. 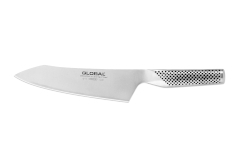 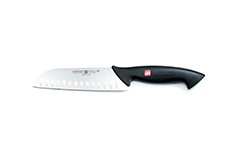 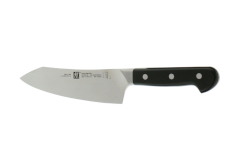 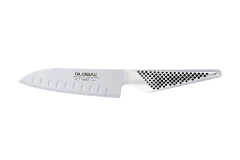 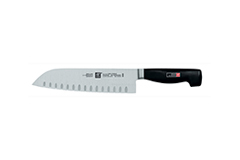 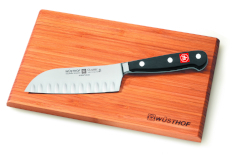 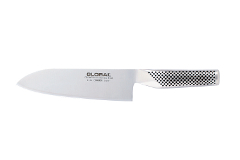 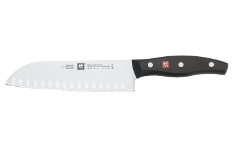 Some feature a granton or hollow edge allow food to easily slide from the blade as you slice. Here are some of our best sellers and feature a manufacturer's lifetime warranty.